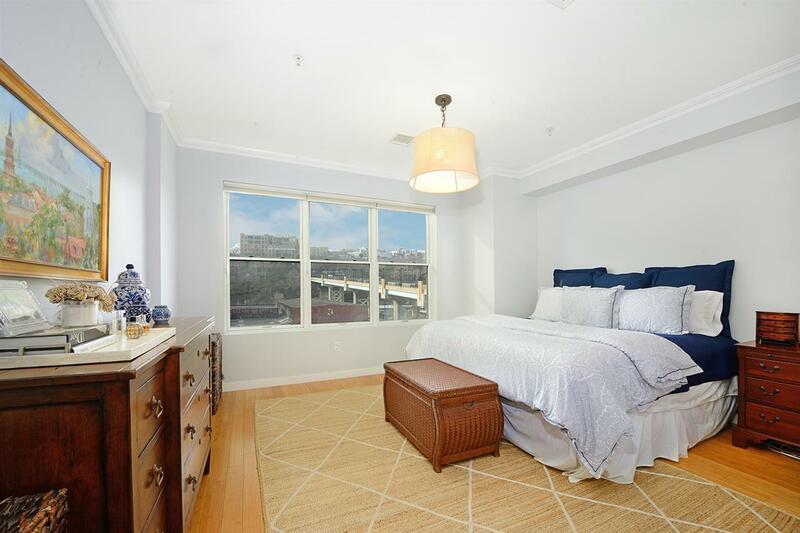 This spacious 1290 SQ/FT 2BR/2Bath Penthouse w/ Juliet Balcony has east and west exposures, a wide-open layout, and beautiful finishes that have been meticulously maintained. 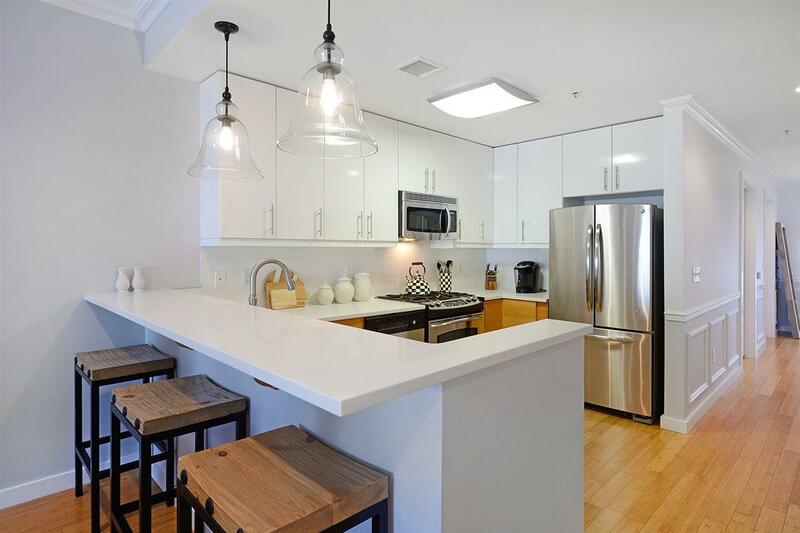 1325 Adams Street is a professionally managed 25-Unit boutique condo building located in one of Hoboken's most highly sought-after uptown neighborhoods (2 blocks from Trader Joes and a block from Hoboken's largest park). 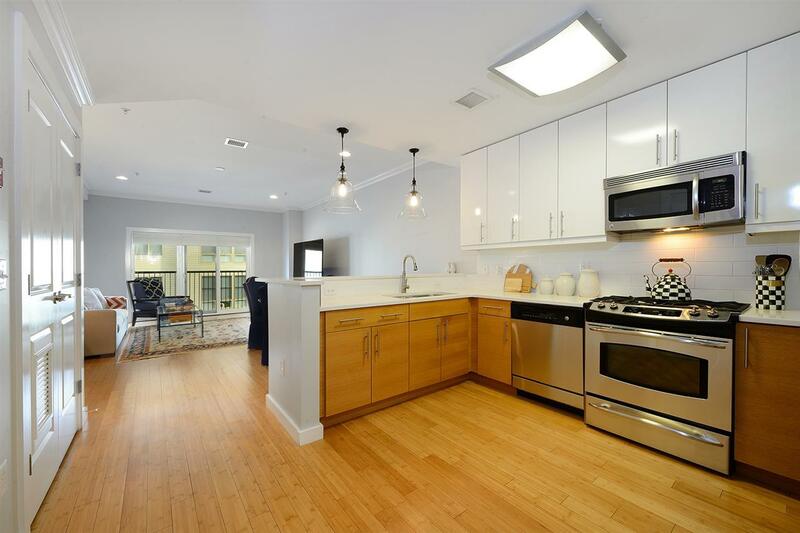 Open Kitchen w/ Breakfast Bar, Caesarstone Quartz countertops (w/ subway tile backsplash), and all stainless steel appliances. 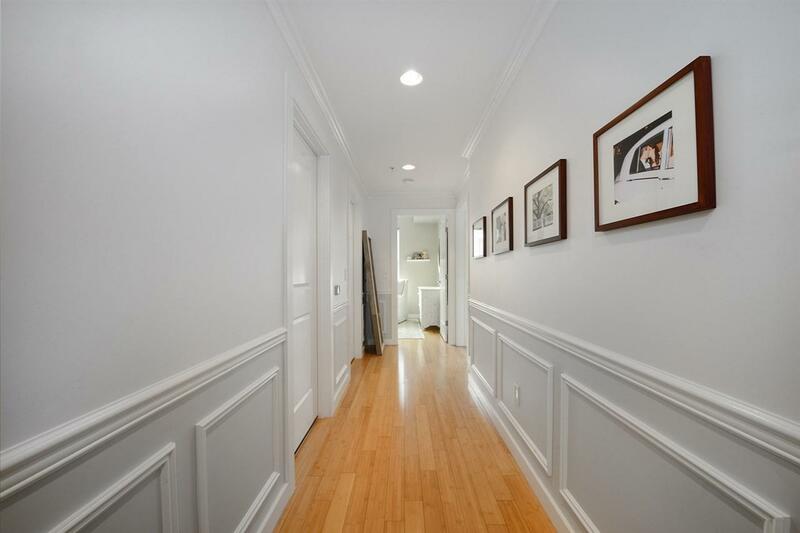 Exquisite bamboo floors run corner-to-corner along with crown moldings throughout (chair rail and wall frame moldings in hallway). Huge walk-in closet (currently being used as a home office) and Seller recently updated all lighting fixtures and window treatments. DEEDED PARKING (FULL/SUV SIZED w/ room for storage) is INCLUDED! It's been 3.5 years since the last offering in this building...a rare opportunity indeed!